Chapter 1 - What's That In the Distance? Ramsay turns to face you, his expression impossible to read once again. "Ramsay, ar-are you okay?" you say inching closer towards him, closing the space between you too. Genuinely concerned for him, you slowly reach your hand up to caress his face. At first, he flinches but you press your hand against his cheek again, carefully caressing his face in your hand. You feel him relax against your hand. "You&apos;re not supposed to like me" Ramsay whispers. "I&apos;m a bad person". Ramsay&apos;s words may be true, but you have seen some good deep inside. If he has the ability to care for someone, then he isn&apos;t as cold as he thinks he is. Reaching up with your other hand, you caress his other cheek and pull him to your lips. The kiss is much softer than before yet somehow your heart is beating even faster. 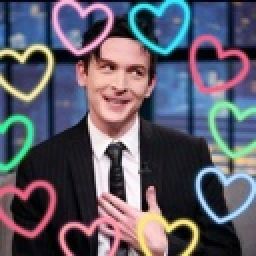 Ramsay may be crazy, but you are falling for him and I guess that makes you a little crazy too. Ramsay pulls you closer to him and walks you backwards so you fall on the bed, him straddling over top of you. He takes off his shirt and you untie your dress. He leans back in, this time planting rough kisses down your neck. You can feel yourself giving into him and your breathing quickens. Struggling to remove your dress, Ramsay lifts you up in one swift motion and pulls your clothing off leaving you completely bare. You feel yourself turning red at the thought of what you must look like as Ramsay continues to kiss down your neck. "You. Are. So. Beautiful" Ramsay says between kisses. You reach your hands up to untie his pants and he quickly grabs your arms, pinning them above your head. "So needy now" he looks down, smirking at you. Your arms still pinned back, he brings his body down on you, grinding and teasing. You try to free your hands, wanting so badly to run your fingers through his hair but he holds onto you tightly. It isn&apos;t until after you give up fighting to free your arms that Ramsay finally releases you and removes his pants. Seeing Ramsay completely naked in front of you makes you nervous but you don&apos;t stop what happens next. 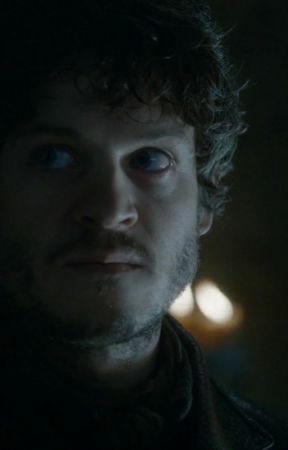 You lose your virginity to Ramsay Snow, a man you once hated but learned to love. Ramsay climbs off of you, trying to catch his breath. He wraps his arms around you, pulling you in for a deep kiss. He smiles and for the first time it&apos;s not a taunting smirk, but a genuine, happy smile.